Без регистрации Subway surf на айфон Subway Surf скачать на компьютер, Subway Surf скачать на Android, Subway Surfers (2012) PC. The web server with the IP-address 31.31.204.58 used by Akbuzatufa.ru is run by Digital Networks CJSC and is located in Russia. 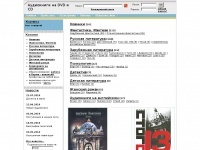 This web server runs a few other websites, mostly in the russian language. The websites of Akbuzatufa.ru are hosted by a Nginx server and were developed in the programming language PHP. The markup language of the website is XHTML 1.0 Transitional. The website does not specify details about the inclusion of its content in search engines. For this reason the content will be included by search engines.